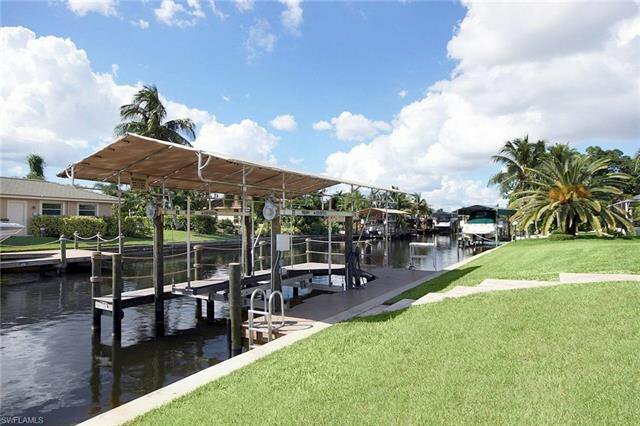 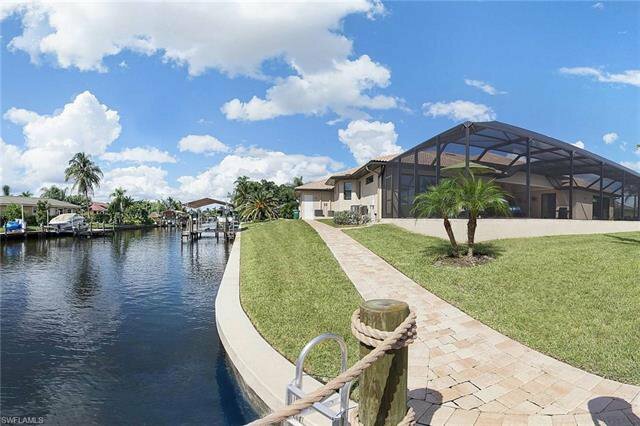 INCREDIBLE 300'+ OF WATERFRONT ON THE SAN JOSE CANAL, enjoy the Christmas Boat Parade right from your Backyard! 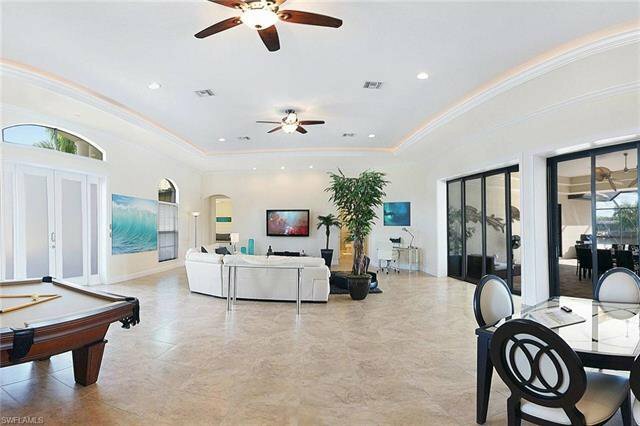 Fantastic Vacation Villa available for the 1st Time with almost 4000 sq ft of Living Area, 4 Bedrooms & 4 Baths. 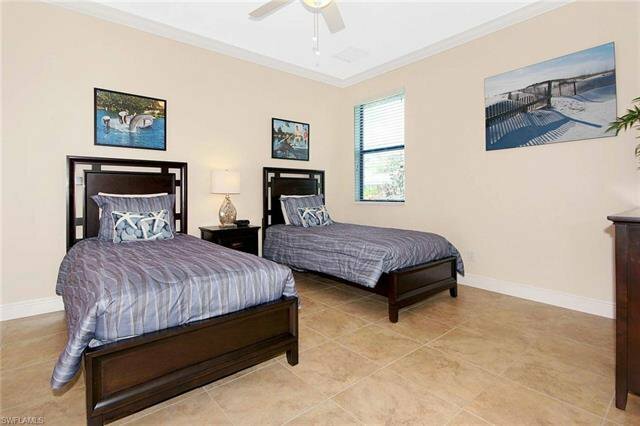 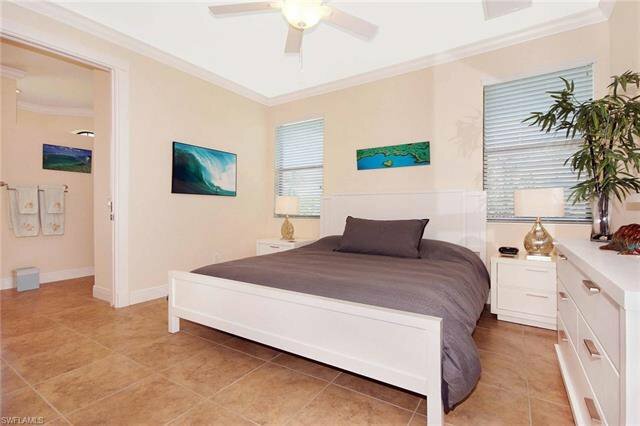 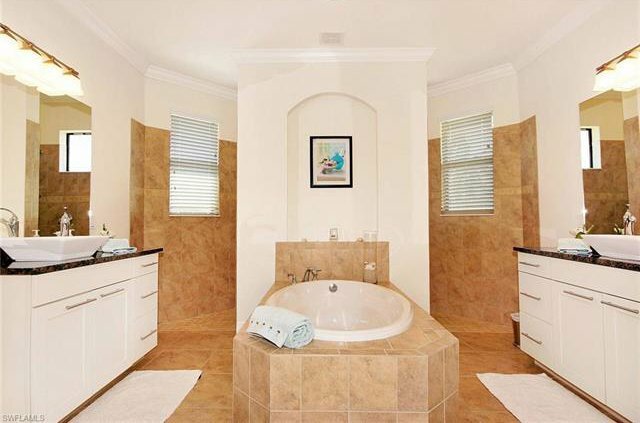 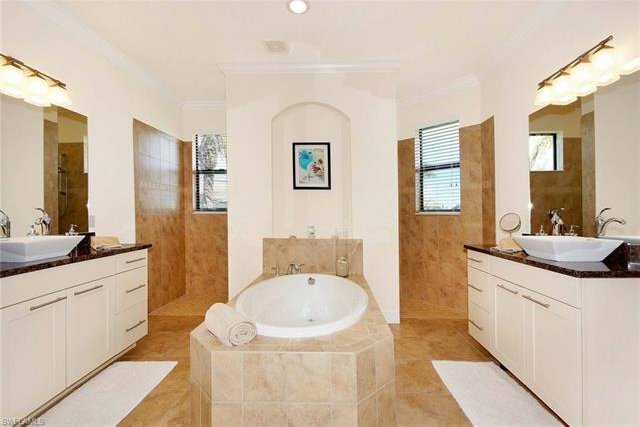 Home features 2 Identical Master Suites plus 2 Guest Bedrooms. 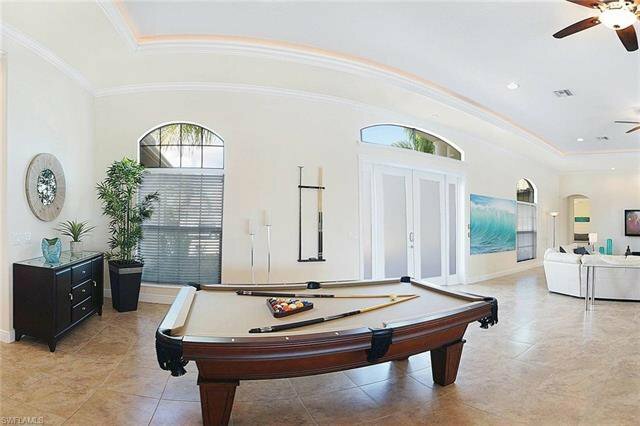 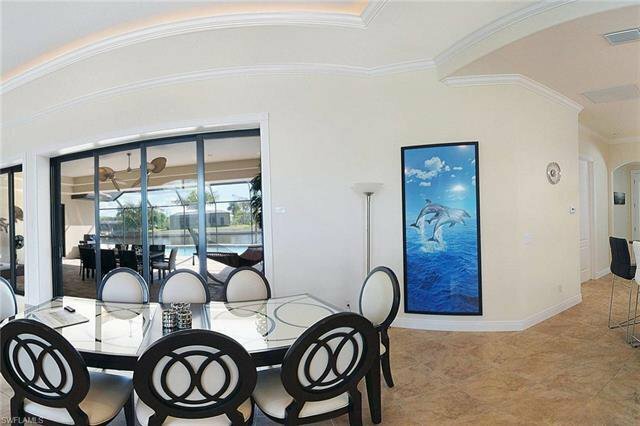 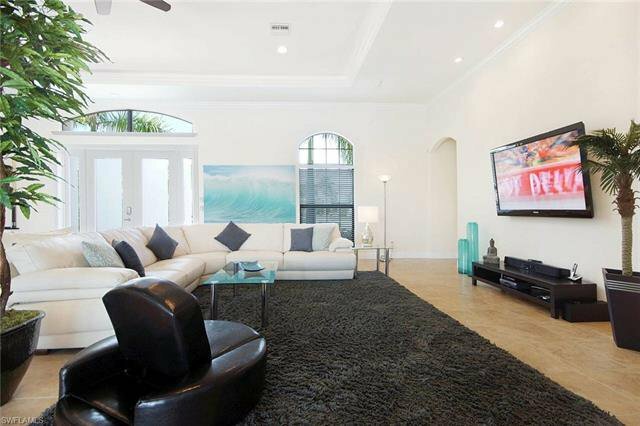 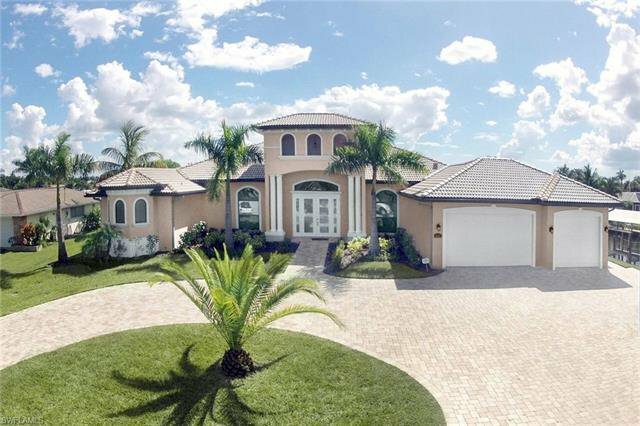 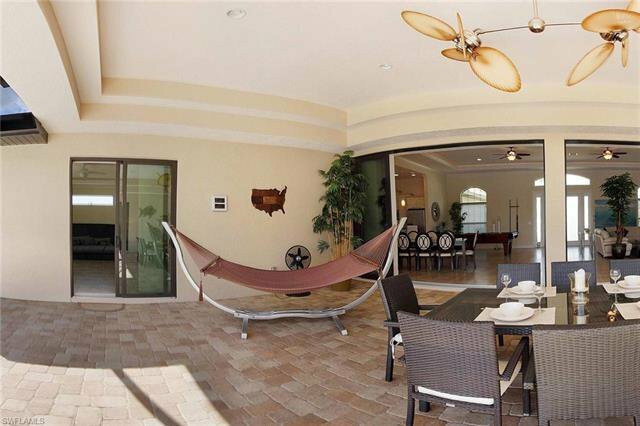 Contemporary Open Design Concept with Large Great Room, Dining Room, Billiards Room & Generous sized Covered Lanai & Pool Area, perfect for entertaining Family & Friends. 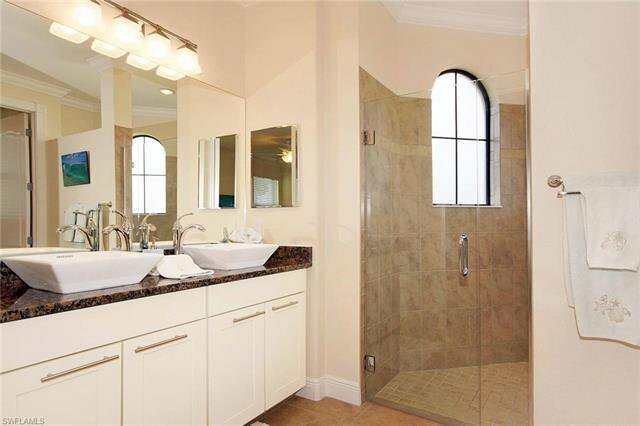 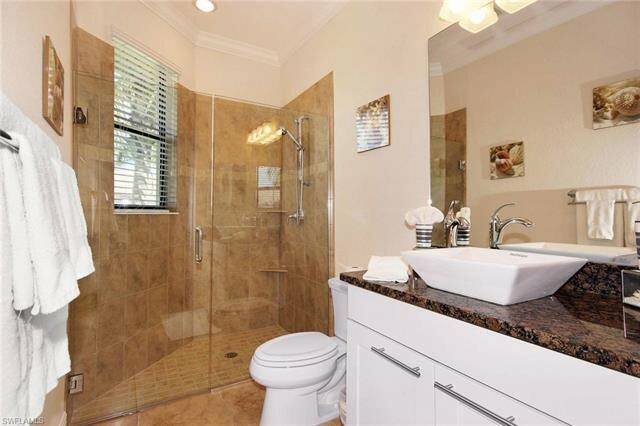 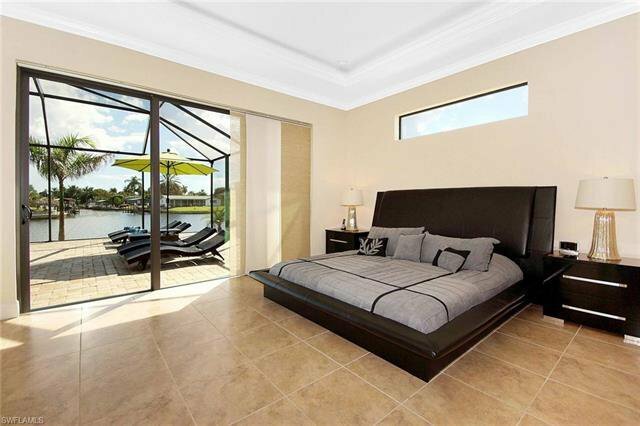 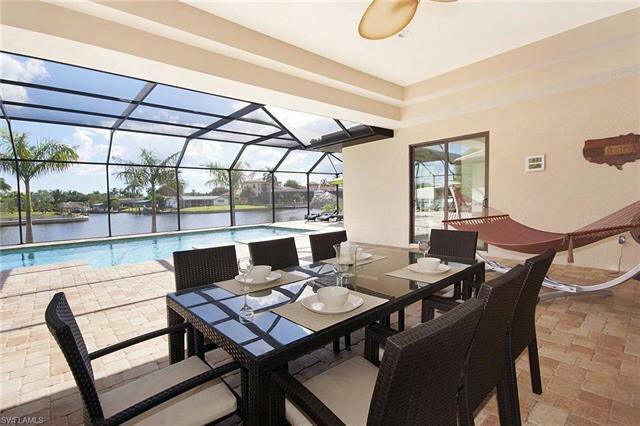 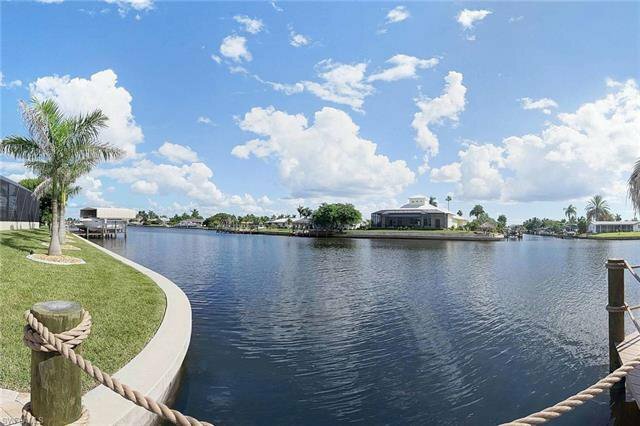 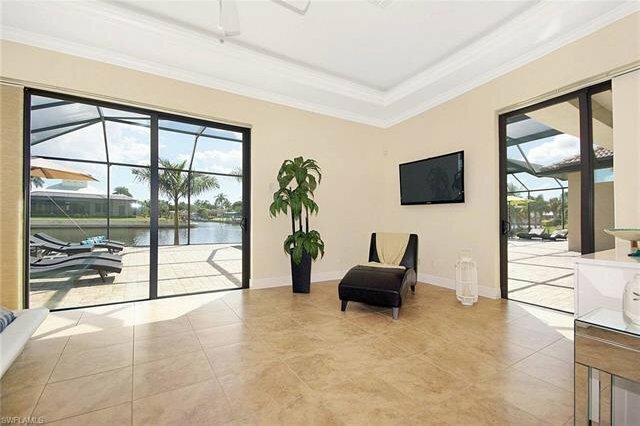 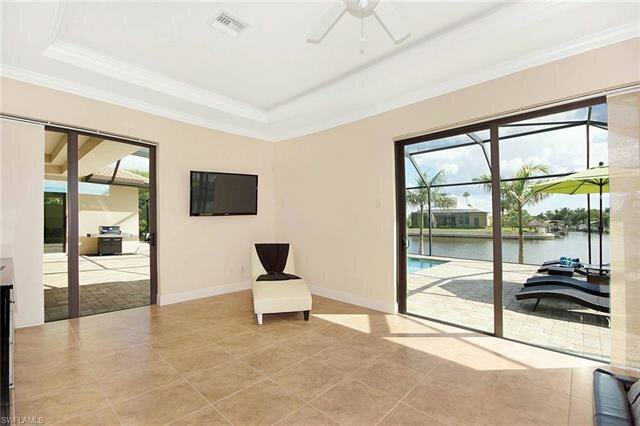 Home is located at the end of a Quiet Cul-de-sac Street overlooking Large Water with Intersecting Canal Views. 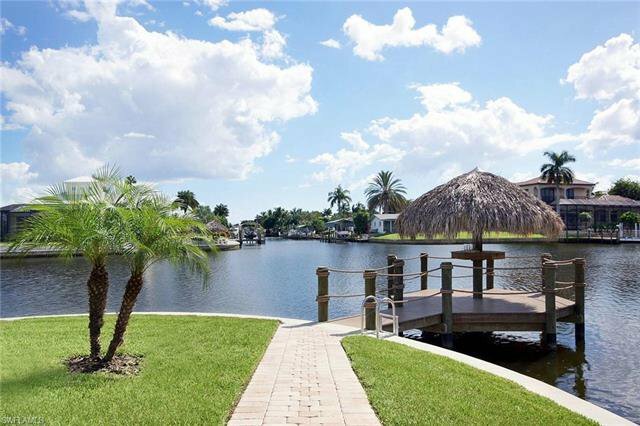 Serious Boaters will enjoy the Quick Gulf Access & Deep Water, No Bridges and only 10 mins to the River! 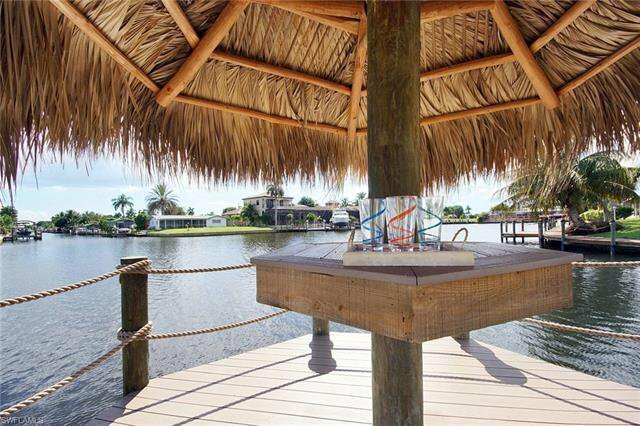 There's a large Boat Dock with Plastic Decking & Covered Lift, you even have your own Private Tiki Hut to sit out and enjoy Cocktails as you watch our spectacular SWFL Sunsets. 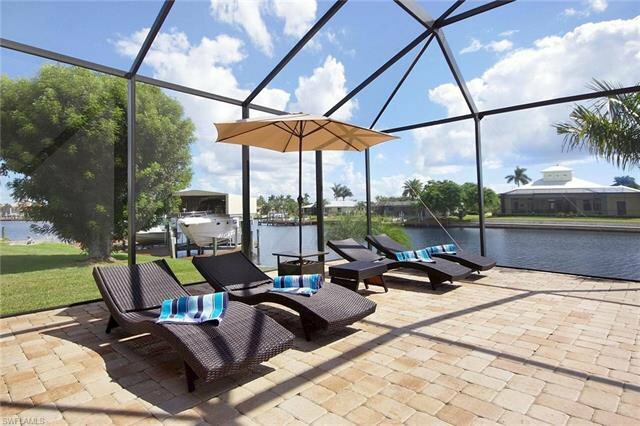 Boat to nearby Sanibel, Captiva Island & Ft Myers Beach! 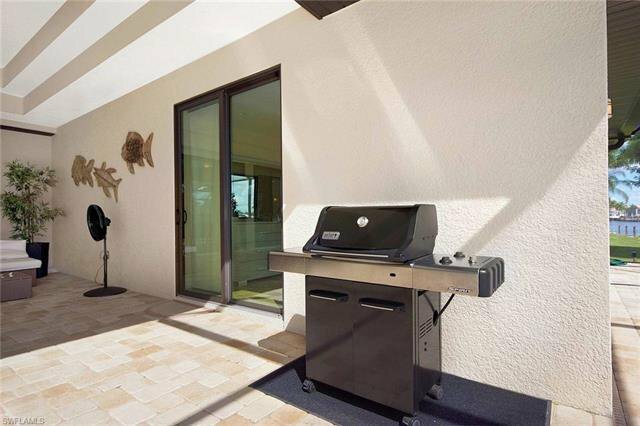 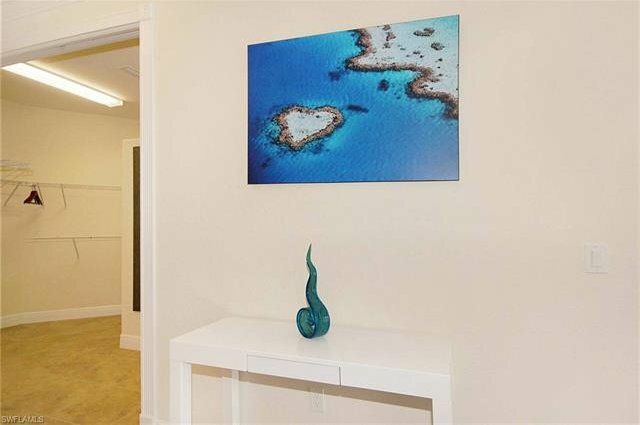 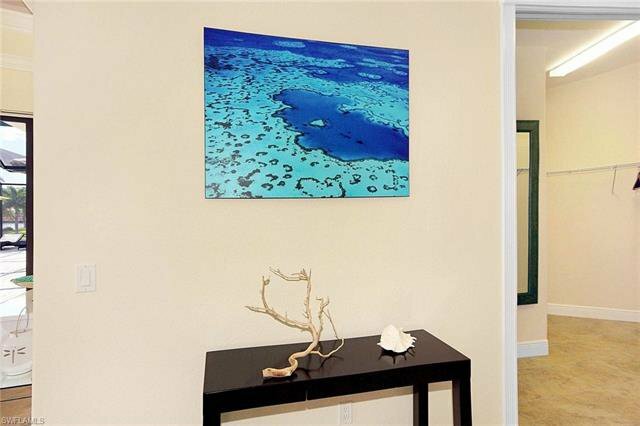 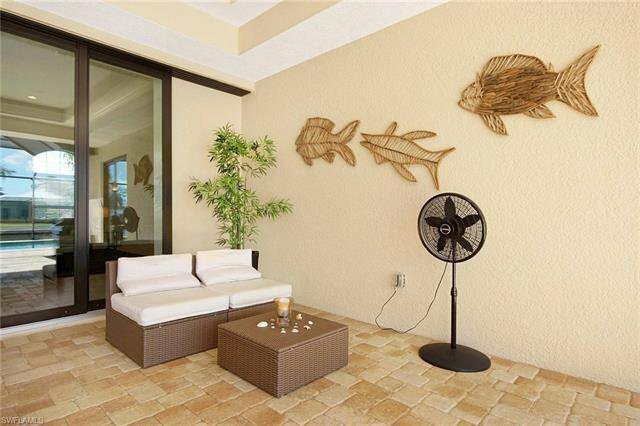 Home comes completely "Turnkey" and has everything you need to have your own Successful Vacation Rental Property. 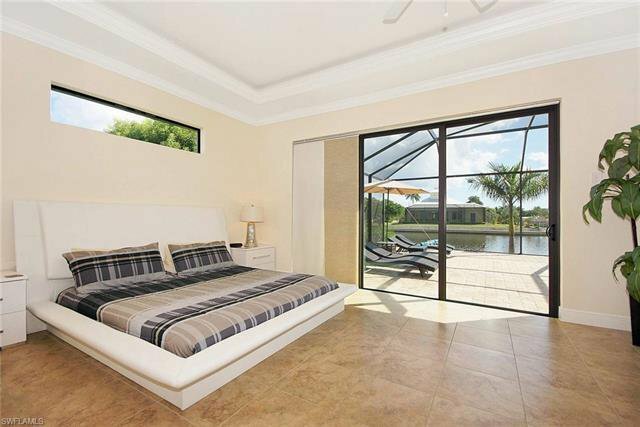 2019'-2020' Bookings already in place, keep in the program or use home as your personal Vacation Villa. 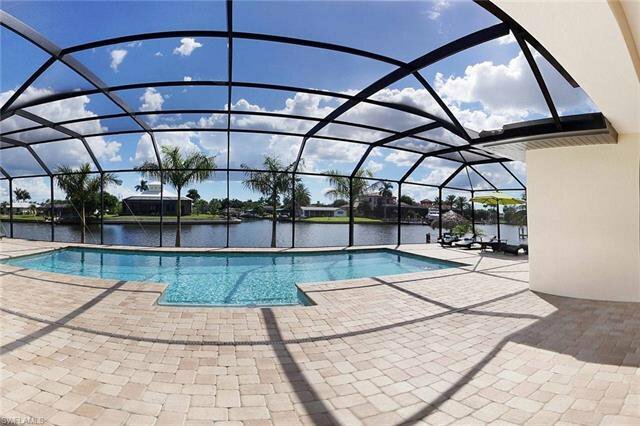 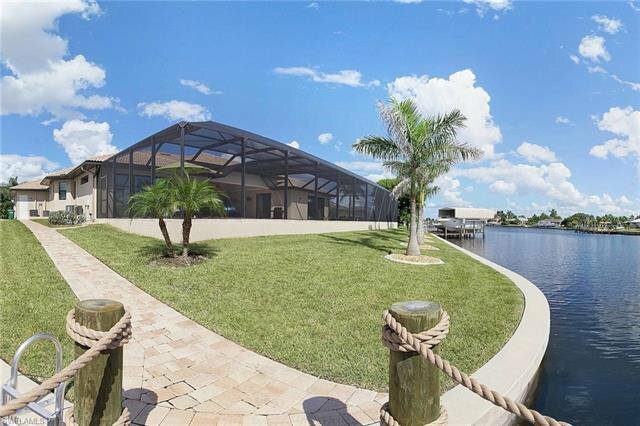 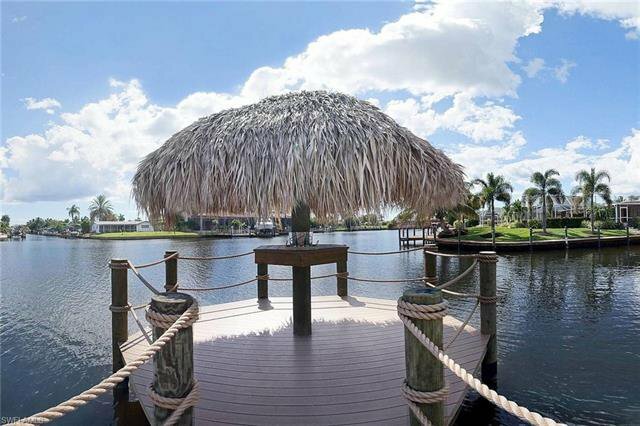 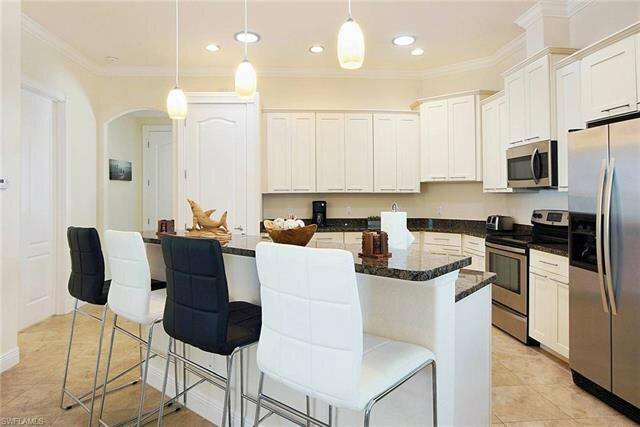 Close to Tarpon Point, Westin, Rotary Park, & Glover's Bight Boardwalk!